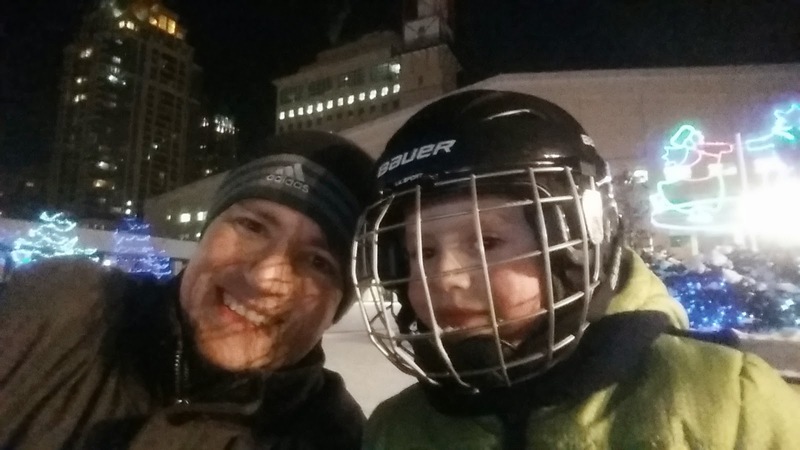 I was inspired by Krysten over at Darwinian Fail to write up a series of fitness goals for February (and also, though not as recently, Robyn Baldwin's Winter Bucket List). I guess I'm really feeling the flow fitness wise. Let's see if I can round this out to the standard Five for Friday, though I expect some inter-dependence in these, if not out-right recursion (that's a reference for any programming geeks out there). Start implementing the structure of my Half-Iron training plan. Though I haven't thoroughly outlined it in this space yet, you might have caught a glimpse of the training plan last weekend. In the early stages, I'm allowed 30-60 minute spin classes for bike rides (even when more in specified) and some workouts are marked with an asterisk which means I can cross-train in other activities instead of biking or running. The important thing for me before the official plan kicks off in March, is getting used to the logistics of over an hour of strength training on Mondays and Wednesdays, as well as making Tuesdays and Thursdays both Swim and Run days. Snowshoe. 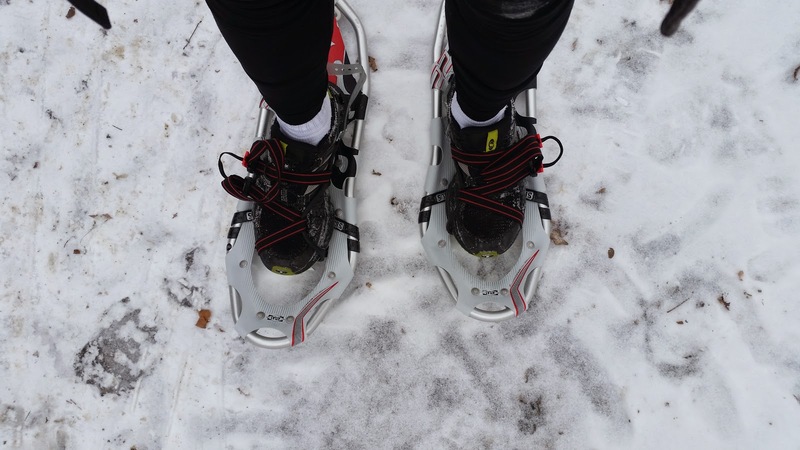 Not only is this a valid form of cross-training mentioned above, but having bought a pair of snowshoes last year, it's a return on investment. I'm hoping to do the Tubbs Romp To Stomp this weekend. I wanted to continue my commute series by snowshoeing to work after the last snowstorm, but it was too cold. Still, with some initiative, I should be able to fit some snowshoeing in. (Update: I did 20 minutes worth on Thursday morning... it's exhausting, especially if you're doing it on unbroken fresh snow). Combine Weight-lifting and Yoga for Strength. One of the things I've noticed about the training plan is that there's no room for yoga, and the other is that strength workouts are timed for 1 hour and 15 minutes. I rarely lift weights for more than an hour - in my defence, I tend to structure whole body workouts and execute them in circuits. Maybe I could learn to space out the sets, do more sets, and make bigger gains, but the truth is I also get bored. I figure if I stay close to my basic structure which includes split squats, deadlifts, lat pull-downs and bench presses (or my dumbbell doubles time-saver) and vary things by throwing in some extra exercises that I see here and there, especially functional ones like pistol squat modifications, negative phase pull-ups, and handstands, I'll get good variability and gains. And of course, I'll cap the workout off with some yoga flows that will include strength/balance work (crow pose is one I'd like to master). Continue with the Doctor's Diet I still haven't written up a comprehensive review of this yet. Since I'd like to continue the weight loss, I'll be alternating between the STAT and RESTORE plans which are similar, but the RESTORE is more permissive in its list of fruits and has more (complex, not simple) carbs. The longer we stick with this the more natural it becomes to adapt our lifestyle to it. We still lean heavily on the meal plans, but we've had (and will continue to have) on the fly substitutions when we're out and about. Do you have any goals for February? Are you getting the most out of winter so far?